Anyone who has tried to organise and deal with their own property relocation will know only too well the unexpected turns and countless issues and considerations which accompany one such project. Dealing with all these would require time, effort and resources. Trying to manage everything on your own can be frustrating and costly, but there is a better way – our professional property moving solutions, available to all private and business customers in W1 area. We handle all types of domestic and commercial property moves, including those really small projects many others would not engage in. We will organise and deal properly with all aspects of the project from start to end, so you have less to worry about. Marylebone (whichever way you pronounce it) is a wealthy inner city area of Central London. The area is right in the thick of it, bordered by Oxford St, the bottom end of Edgware Rd, Great Portland St and Marylebone Rd. The area’s key location allows quick access and by-foot exploration of the myriad of landmarks and sights of Central London. Our helpful around the clock customer support will be in charge of managing and coordinating every step of your moving project. Our movers in Marylebone is ready to offer you free moving tips over the phone whenever you need such. Our flexible schedule allows for last minute booking and late-night operations in W1. 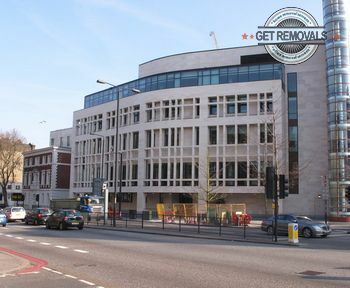 Bypassing the fuss and commotion of your removal through using our specialised removal solutions is an easy way to open up more free time and save your energy for more pleasant things like getting to know the suburb of Marylebone. Not sure how to pronounce it? Don’t worry, no one is. This is probably the only London suburb to have five different pronunciations of its name. In any case, Marylebone is among the most affluent and desirable residential area in present day London. It benefits greatly from its central location, right in the heart of the City of Westminster. Marylebone is divided into several district areas, among which Marylebone Village stands out with its old school, very well preserved architecture and numerous historic and cultural landmarks. Famous places like Regent’s Park and home of Sherlock Holmes – Baker St also fall within the bounds of Marylebone Village. The zone commonly known as Fitzrovia is sometimes referred to as East Marylebone.